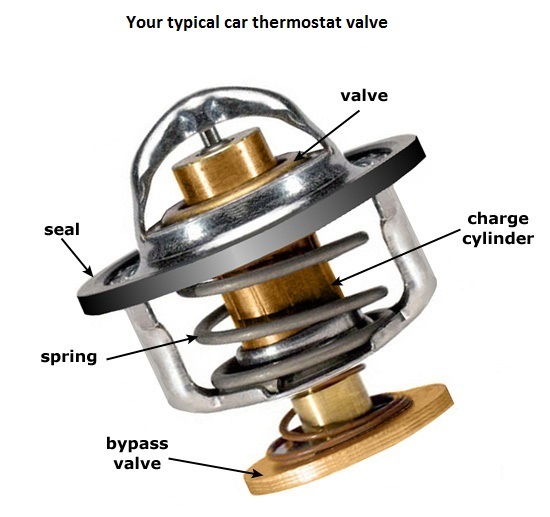 There is a common practice of removing your car’s thermostat valve in Pakistan if it starts showing signs of overheating every now and then, especially in small three cylinder cars. The drivers believe that removing the thermostat will cure any overheating issues of the car. The job of the thermostat is the keep the engine at its optimum temperatures by managing the flow of coolant from radiator to engine block and then back to radiator. Its job is to block the flow of coolant to the radiator until the engine has warmed up. When the engine is cold, no coolant flows through the engine. And once the coolant temperature starts to rise, from engine’s normal operating temperature, the thermostat will open to let the fresh coolant from the radiator inside the engine block. Simply put, it stops the fresh coolant from reaching engine so that engine reaches its operating temperature quickly and then opens up to let the coolant from the radiator to the engine block when temperature of the coolant inside the engine block starts to increase. The mechanics of the thermostat are simple, sort of. There is small capsule on the engine side of the thermostat that is filled with wax that expands or contracts depending upon the temperature of the coolant. There is this small pin pressing into the wax. Around that pin is a spring that stops the valve from opening. The wax melts inside the capsule with increase in temperature, as a result, it expands and pushes the pin out. Pin is held inside a bracket attached to the body of the valve, at the other end of it. It pushes against the bracket and opens the valve to let the coolant in. Simple, eh?! Removing the thermostat from your car, big or small, is not a good idea. Instead of actually finding the reason why their cars are overheating, people usually choose a shortcut and just throw the thermostat valve out. Overheating could be something as simple as your thermostat valve being stuck closed or your radiator being clogged or even air in the cooling system. In severe cases, it could be because of reasons like a blown head gasket or worse, your cylinder head might have gone kaput. Removing your thermostat will prevent your engine to reach its optimum operating temperatures. Engines are designed to work at their max potential when they are all warm and toasty. Optimum operating level means your engine oil being at its best viscosity, your engine hardware at its best temperature so it generates less friction, your charge (mixture of air and fuel) being ignited at the best temperature to extract as much bang from it as possible (otherwise you’ll get bad fuel average from your car), and a host of other things. Running your engine without a thermostat will, for a lack of better word, ‘over-cool’ your engine, and that is big no. This can seriously harm your engine and reduce its life by increase in premature wear and tear of its components. Trust me, I know. I have personally killed an engine like that. Have your engine pressure tested from a good mechanic/workshop if it’s overheating and keep that small yet very significant part of your engine where it belongs… inside the engine! بریکس خراب ہونے کی علامات؛ غفلت جان لیوا ثابت ہوسکتی ہے! hey i have a nissan sunny 1999 .. ive been to several mechanics and they couldnt find any leak in the radiator .. one got the thermostat removed and connected the fan directly .. the car still heats up occasionally .. it loses around 300ml daily on running .. ive had the radiator serviced .. could you please advise as to what i should do ..
Alongwith with changing the head gasket, also check the cylinder head for flatness. In case it is not flat even a new gasket will not help. Before doing this try changing the radiator cap. But buy a Japanese one. Thank you for your input .. i got the cap changed as well .. japanese as you mentioned yet the problem persisted .. i guess a new gasket costs around 8-10k .. is it okay if i leave it the way it is if i check the water level regularly ? It would not be advisable to continue to use the car with a defective head gasket. The problem would only get worse and worse. 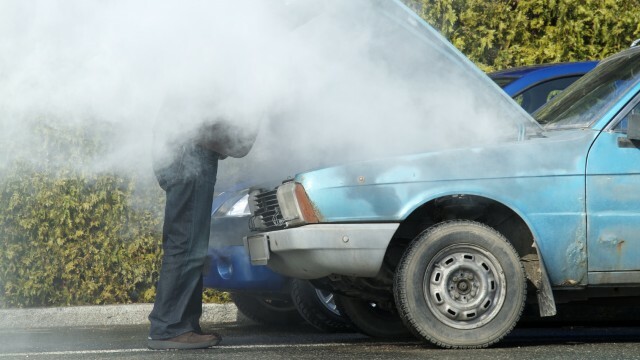 However, if your head gasket has a leak then you should see air bubbles in the radiator. Have it checked by a good mechanic. Also pressure test the cooling system. It is similar to the checking for leaks in the tyre tube. It there is a leak the pressure will go down. the air bubbles are present in the radiator .. am i close to reaching a diagnosis here ? 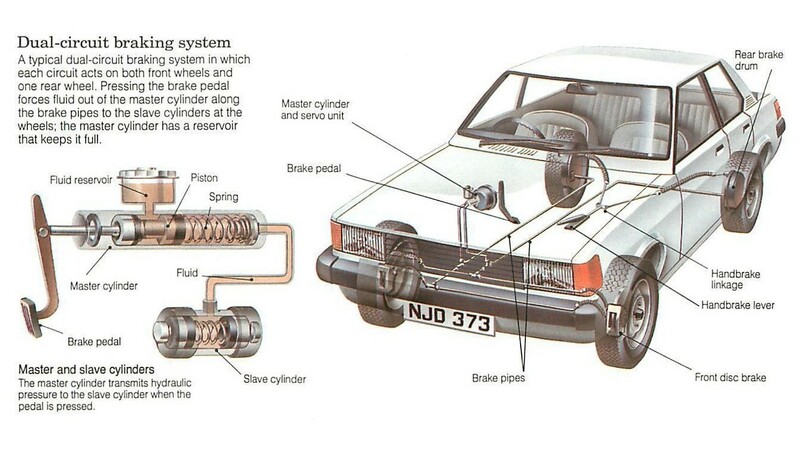 Check all the hoses, especially those going to the heater. There may be a minor leak in one of them. great article, Aref Ali. there is no such concise and yet complete article on this topic. i have a query related to this in my car. i have honda city, manual 2006, 3rd owner. yesterday i got my coolant changed. the mechanic noticed that there is no thermostat valve. i was not aware of it. so i asked to put new one. he said and suggested that thermostat valve has been removed on purpose, i.e the car must be having the overheating issue. then he made me hear a sound from engine and said that engine must have been affected ( buht maar khayi hui he ) . it should sooner or later be replaced. i was totally shocked as i bought this used car at higher price only bcoz of good engine maintenance n less driven. Whether the engine has been already damaged enough and it is late enough to work out the issue and contiinue using it without thermostat and later go for engine swap??? Or should i get thermostat valve put in, diagnose the issue of overheating, get it corrected and continue using it with regular maintenance??? Or should i sell it out as such??? can you guide me further what to do?? ?